Every day, so many reports emerge about aspects of ObamaCare/ACA that it’s difficult to decide which ones to note. Here’s one I note today from the Urban Institute – “After King v. Burwell: Next Steps for the Affordable Care Act” written by the always perceptive Linda Blumberg and John Holahan. The numbers bear out the adverse impact. 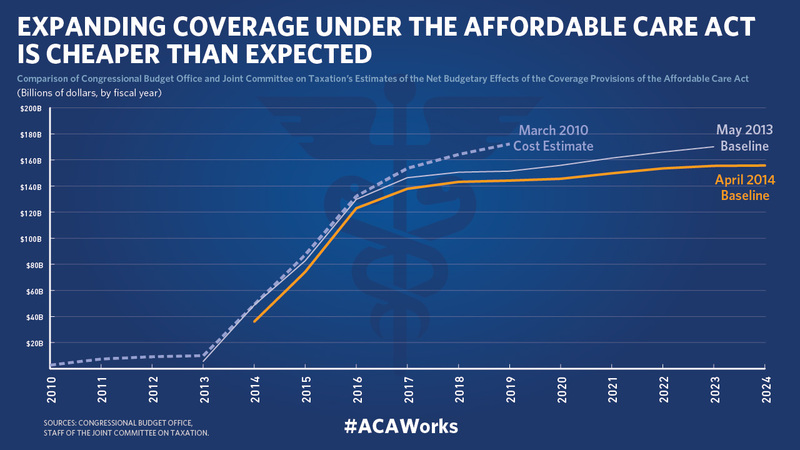 In 2010, the Congressional Budget Office estimated that the fully-implemented ACA would reduce the number of uninsured Americans by 32 million – and last June, their new estimate is 24 million fewer uninsured by 2020. That drop reflects both states refusing to expand Medicaid eligibility as permitted by ACA and fewer folks signing up for subsidized private coverage. “The US is expected to spend significantly less on health care between 2014 and 2019 than was originally projected after the ACA’s passage. CMS actuaries now project national health expenditures for that period to be $2.5 trillion below what they had projected for that same period in August 2010. These unanticipated savings exceed many times over the additional 10-year investment proposed here. The authors’ recommendation to “allow states the option to expand Medicaid to 100 percent of the federal poverty level instead of 138 percent” will strike some as odd and counterintuitive. I agree with the report. Right now, states must expand eligibility to 138% FPL (about $15,000 in household income for a single adult) or not at all. In states now not expanding Medicaid, those with incomes between 100 and 138% can opt into the private health insurance exchanges – this change would provide a small financial benefit for states by letting them avoid paying a 10% match to the federal government for that class of individuals. A smart proposal. When we hear the popular media talk about changes to ObamaCare, we hear a litany of conservative and Republican proposals – eliminating the taxes on medical devices and health insurers, changing the definition of full time employees from 30-40 hours per week, eliminating the individual and employer mandates, and the like. It’s important to see other ideas – such as those from Urban – get attention as well. This is an important discussion which will only get more urgent in the coming years. Thanks to Urban. Blumberg, and Holahan setting this table so well.